Where to buy orange Sunkist? 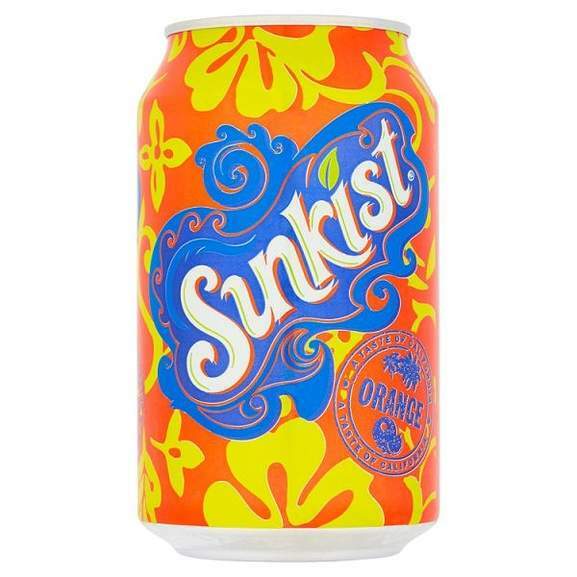 Welcome to Sunkist.com - the home of Sunkist in the UK - manufactured by Vimto Soft Drinks under a trademark licence from Sunkist Growers, Inc. California. Sunkist in the UK has recently undergone a logo change and full packaging re-design which is a nod to the brand's Californian roots of sun, sand and surf and to make Sunkist more appealing to its youthful target audience. As well as the refreshing existing flavours of Orange, Diet Orange, Lemon and Tropical, Sunkist UK have added three delicious new flavours to the range - Orange & Passionfruit, Summer Fruits and Lemon & Lime. The full range of Sunkist products is available at Makro, and other cash & carrys and independent retailers carry a smaller range. Looks like it's only available at cash & carry, so that's where the small shops get it. Welcome to Sunkist.com - the home of Sunkist in the UK - manufactured by …Welcome to Sunkist.com - the home of Sunkist in the UK - manufactured by Vimto Soft Drinks under a trademark licence from Sunkist Growers, Inc. California.Sunkist in the UK has recently undergone a logo change and full packaging re-design which is a nod to the brand's Californian roots of sun, sand and surf and to make Sunkist more appealing to its youthful target audience.As well as the refreshing existing flavours of Orange, Diet Orange, Lemon and Tropical, Sunkist UK have added three delicious new flavours to the range - Orange & Passionfruit, Summer Fruits and Lemon & Lime.The full range of Sunkist products is available at Makro, and other cash & carrys and independent retailers carry a smaller range.Looks like it's only available at cash & carry, so that's where the small shops get it. Thanks I'd looked on the site too. Do you know is macro and any other cash and carry just for businesses or can public go there? Thanks I'd looked on the site too. Do you know is macro and any other cash …Thanks I'd looked on the site too. Do you know is macro and any other cash and carry just for businesses or can public go there? AFAIK they are just for registered business owners, seems a lot of effort to go to, you must really love sunkist! AFAIK they are just for registered business owners, seems a lot of effort …AFAIK they are just for registered business owners, seems a lot of effort to go to, you must really love sunkist! That's funny, never tasted any different to Fanta to me. You could get the real US version but it's 95p a can with £40 minimum spend for free delivery. Cloudy lemonade or Lilt. Try them and thank me later.